Our ego gets a bad rap. Whenever somebody calls undo attention to themselves, we say he is feeding his ego. When somebody is obviously enjoying social attention, we attribute it to the ego. When we feel that familiar addiction-like desire to check our social media, we know we are trying to feed our ego. Long ago, our mind-body systems lived in a much different environment. It was a good thing to always be hungry. Today, this feeling of “being hungry” is a very useful metaphor. Being hungry is good. Hunger metaphorically means a real and honest desire for achievement. These two words are synonymous with genuine and healthy human desire. This simple phrase represents our most resourceful state. Of having a raw desire that we point at our goals. All the billionaires, all the most successful creators of all time, were once lean and hungry. And they pointed that never ending raw desire toward the fulfillment of their lives. The opposite, of course, is at the end of our lives. Relaxed, fat, successful, happy. Even the Buddha, whose large and joyful belly represents the future state when all achievement is fulfilled represents this metaphorical state of post consumption. When we are young, we are lean and hungry. When we reach the completion of our lives, we are fat and happy. Filled with successful achievement that has provided for our families and have produced benefits to the world. This the way it is supposed to be. This is our nature. To start out young and lean and hungry, and through our hunger driven motivation, we are endlessly pulled toward success. But somewhere along the way, we became too successful. We have created a society where food is plentiful. Work doesn’t require any physical effort. Our needs are never far from being fulfilled. It is all too possible to become too comfortable. Too lax. Our natural motivation and creativity that has led us to the stars is no longer a natural part of us. Your natural drive is still there. But it is easily fooled. It is easily deceived by the plethora of fast food, easy entertainment and false social gratification. Our natural equilibrium which kept us balanced is nowhere to be found. In our natural state, our most efficient state, we have two main components. Our never ending drive, metaphorically represented by hunger, which pulls us forward. And our success recognition system. That part of us that was perfectly calibrated to give us a feeling of emotional pleasure and satisfaction to keep us on course. And to give us slight pings of discomfort to push us back on course. Many have spoken about our human goal seeking mechanism and how it relates to a guided missile. That the guided missile is always correcting course. That the missile has an internal feedback system to continuously update its trajectory. We do have access to a system like this. But it is no longer natural. It is needs to found. To be rediscovered and to be re-calibrated for the modern world. Our ancient ancestors were driven because everything was designed to help them succeed. When they succeeded, it was on all levels. Materially. Emotionally. Socially. The positive looks of appreciation, validation and approval came when they achieved real and natural success. Today that system is backwards. Our ego, the internal guidance system to drove our ancient ancestors to continuous and relentless success now gets in the way. Just like our ancient hunger instinct is our biggest obstacle today, so is the unhealthy and seemingly constant gratification our modern ego seeks. When you feed your hunger instinct junk food, it actually can taste much better than healthy food. This is why our modern hunger instinct is so difficult to tame. The ego is different. The fast food of fake social approval our ego constantly feeds on actually makes it feel sick. When you feed it a diet of healthy appreciation, it, and you, will feel a million times better. When you recalibrate your ego, you’ll never again crave the false satisfaction so many pursue today. You’ll actively seek those situations that compel you to real and genuine success. You can leave the fake social status games behind, and feed your natural ego, your ancient helper, with the nourishing gratification that it craves. Once you recalibrate your ego, never again will you fear rejection. Rejection will be impossible. Never again will you feel anxious in social situations. Your social nature is like a formula one race car. It only works when it’s running at the right RPM. After you recalibrate your ego, going into unfamiliar social situations will be fun and exiting. When you do get public approval, it will feel natural and real. It will be as nourishing to your emotions and healthy food is to your body. Without knowing how to properly feed your ego, it feels like you are living in a world fill with social predators who’ll smile at you one minute only to stab you in the back the next. In the world of ego junk food, nobody can be trusted, and everybody can be a potential enemy. Imagine if you lived in a world where only junk food was available. Every single thing was filled with sugar, deep friend and then covered in salty fat. Life would be horrible. This is how your ego feels now. This is why we mistakenly think the ego is the problem. That if we only get rid of our ego somehow, our social problems will go away. But our ego is absolutely necessary. We can’t get rid of our ego any more than we get rid our hunger. Luckily, our ego is much easier to manage than our hunger. Our ego feels a million times better immediately when we feed it the food it needs. Our ego will be grateful when we recalibrate it to the modern world. Our ego is the necessary component of the human guidance system. To guide our behaviors so they provide genuine value to others. When we do that, and people give us genuine appreciation and validation, our ego knows we are on the right track. This is the absolute beauty of a properly calibrated ego. Once you fine tune your ego, and retrain it to the modern world, success will be automatic. Being friendly and outgoing in social situations will be automatic. Talking to strangers will be automatic. Your ego will naturally guide you to the behaviors that will get you the rewards in life you want. Getting paid is a natural response to doing things other people value. Once you recalibrate your ego, you will naturally sense what these activities are and you will do them without needing to think. Once your ego is retrained, interacting with people and expressing your true self will be as simple as reading this very sentence. Your natural ego wants you to create healthy and positive relationships. Your natural ego wants you to be friendly and kind to strangers. Your natural ego wants you to create as many friendships as you can handle. Our ancient ancestors didn’t need to think about any of this. They just did what felt natural, and when they created real material value for others, they got massive and very genuine social approval and recognition. This tightly calibrated guidance system served us for a very long time. But since we live in a much different world (because we have been SO successful!) we need to recalibrate our ego. This will take conscious effort. This will require you decide what is you want (in terms of financial rewards, relationship rewards and social rewards) and then re-train your true ego seek these, instead of what it seeks now. When you start to feel the genuine validation and recognition that comes form providing real value to others, you will feel as though a huge weight has been released from your shoulders. No longer will any emotional anxiety or fear keep you from going after what you want. This idea will no longer be a myth, a metaphysical or philosophical idea. This will be an achievable state of being. You will know exactly what it means, and be capable of experiencing it in a real and tangible way. This is a two-part course. Part one is the comprehensive manual which will teach you everything you need to know. This includes the biological and scientific understandings of exactly what your ego is and how to manage it. 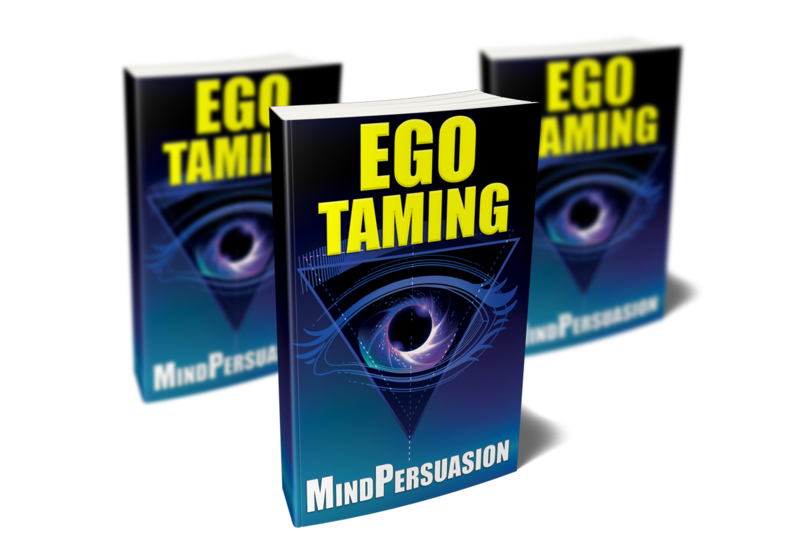 It contains all the daily exercises and drills needed to cultivate the healthiest ego you possibly can for the easiest social, financial and relationship success possible. The main manual gives you the scientific background of your ego. Why it exists, why it is misunderstood and how to recalibrate it for our modern world. You’ll learn all the daily drills, journaling techniques and exercises to slowly retrain it so you resonate naturally with your life’s goals. 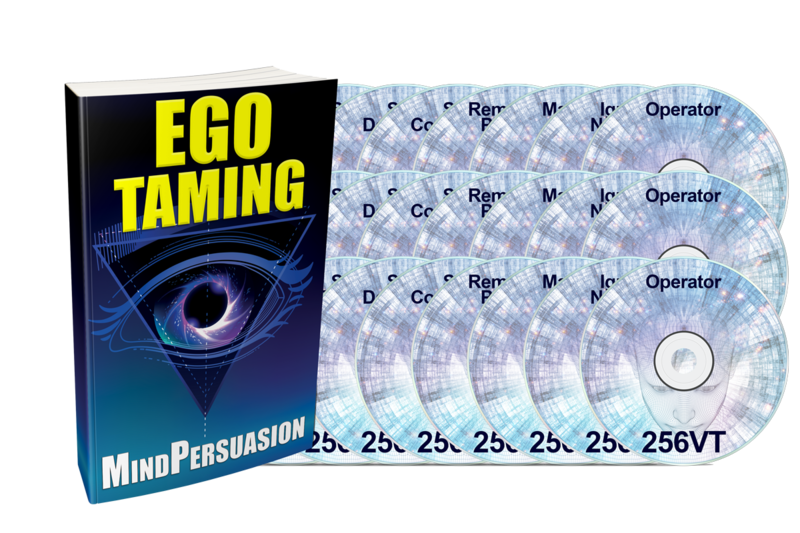 However, in order to make it as easy as possible, you’ll also get these powerful subconscious programming sessions to help you transform your ego on a deep and powerful level. Awake and alert subliminal programming. Listen to these session when in any social situation and feel social concerns evaporate. Use these when actually out and observing others, journaling or preparing for any social acitivty. These Gamma Sessions will give you an immediate boost, raising your consciousness while bathing your brain with the relentlessly positive subliminal messages. Four voices will be speaking at once, two male, two female, all using both first and third person. Each session has over 400 statements that will add to a profound shift in beliefs and abilities. Four voices backed by Theta Brainwave inducing sounds. Theta is when your mind is on the border between awake and asleep. The realm of consciousness where thoughts become things, where you can slowly begin to retrain your ego, and what memories you reference when you are in social situations. Create a visualizing (based on the journaling memory techniques included) and hold on to those images right at the border between dreams and sleep while your conscious and unconscious are simultaneously reprogrammed. These powerful sessions have 256 voices, all speaking at once. A fire hose of powerful information flooding your subconscious with transforming ideas about the new calibrated ego you are learning to harness. Create the visualization based on the instructions in the guide, hang onto it for as long as you can while the careful blends of voices, sounds and gentle noise put you into a deep sleep, where your mind will be reprogrammed on a deep level. Release all negative social memories and failures. Stop responding based on ancient fight or flight instincts. Eliminate social anxiety and worry. Train your brain to top referencing negativity. Choose to only recall positive experiences. Vastly increase social comfort and confidence. Feel the likelihood of success in many more situations. Sort through your past and find your vast storehouse of successful memories. See yourself as eminently worthy. See yourself as truly deserving all you wish for. Hold yourself in genuinely high regard. Radiate true self love that others will subconsciously accept and agree with. Easily handle unknown social situations. Feel a true sense of effectiveness in all situations. Develop a deep trust that your inner learner will quickly figure out what to do and get it done. Become a natural leader in social situations. Learn to perceive authentic social recognition. Release the need for false and temporary social approval. Seek genuine respect from others to naturally increase your legitimate social status. Take control of your mind, your actions, and your results. See the world as pure raw material for you to form into any result. Appreciate the endless opportunities in your world waiting to be operated on by you. Create yourself however you like. Decide who you are, and congruently and confidently proclaim that truth to the world. Easily reject any labels you don’t want and be the continuous author and authority of your existence. All sessions mixed together. Used to fine-tune your ego and to be used as maintenance session. Can be used with any collection of memories associated with recent healthy ego validation. We know this sounds like quite a lot, especially when ideas regarding the ego are so commonplace. But we are absolutely certain that this course contains ideas, exercises, and specific details that you’ll find in no other material. Step by step techniques to re-train your ego and allow it to help you achieve the results you want. Financially, socially, emotionally and relationships. This course contains groundbreaking ideas you’ll find nowhere else. Get his course today and try it for sixty days. If you don’t think this is for you, for any reason, you’ll get every penny back, no questions asked. Get this course today and enjoy your natural companion that will guide you toward easy and natural success. Train your ego to only focus on the things and activities that help you and ignore the rest. Recalibrate your social instincts to maximize your happiness. 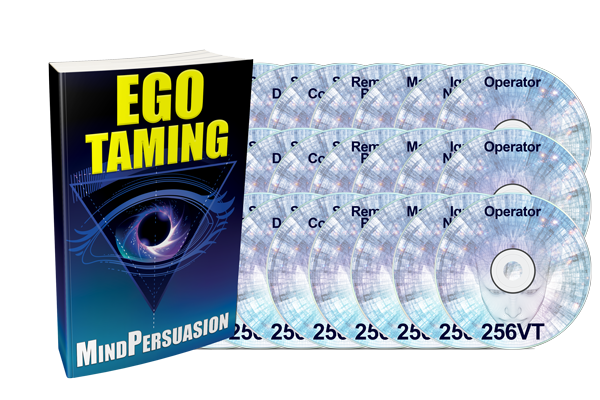 Get this course now and end ego pain forever. Your ego was created to help you naturally go after what you want, and enjoy doing it. To be motivated to succeed by the natural and genuine rewards of social recognition and appreciation. Carefully fine tune your ego to modern society and make life easy. Eradicate all the cumbersome blocks keeping you from the natural success you know you deserve. Maximize your social efficiency and live on purpose. Learn to understand your ego and make it your most trusted advisor and loyal supporter. Understand what your ego really wants. Stop feeding it the dangerous junk food of modern life and unleash the unstoppable social power of natural ego health. Get this course now and become a superhero of your life.